Due to these facility closures, the FDA is “urging” medical device makers to consider having alternative sterilizers look at their devices. 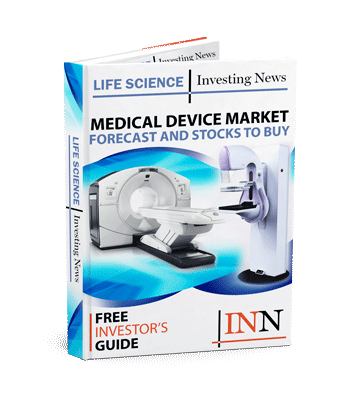 On Tuesday (March 26), the US Food and Drug Administration (FDA) disclosed the possibility of medical device shortages following the closure of two device sterilization facilities in Illinois and Michigan. The agency’s Establishment Registration and Device Listing database said that 594 different kinds of devices at the Willowbrook-based Sterigenics facility could be impacted by the closure because they are sterilized with ethylene oxide. Additionally, the database determined that 46 types of devices at the Viant facility in Grand Rapids undergo the same process and could also be impacted by the facility’s shutdown. As a result of these cessations, the FDA is taking steps to prevent possible medical device shortages, including the addition of a new website detailing why ethylene oxide is used to sterilize devices. “Because of the shutdown of the Sterigenics Willowbrook facility and the planned closing of the Viant Grand Rapids facility, the FDA is urging medical device manufacturers that use these facilities to begin assessing any potential downstream impacts of the closures on device distribution through their supply chain to end users (such as health care facilities), and ultimately on patient care,” the FDA said. Additionally, the FDA said that medical device makers should look into alternative contract sterilizers for device processing and explained that it is “committed to working closely” with these companies to streamline the review process of site change submissions. The FDA’s decision to take a different approach when it comes to preventing medical device shortages comes as a result of an Environmental Protection Agency (EPA) order issued by the Illinois EPA earlier this year. The Illinois EPA asked for the prevention of new sterilization cycles that use ethylene oxide to prevent emissions, which it said present substantial dangers to both residents and off-site workers within the community. “The seal order restricts access to the ethylene oxide storage vessels so as to preclude introduction of ethylene oxide into a sterilization chamber,” the Illinois EPA said, adding that only authorized people will be able to access the sealed vessels when carrying out activities that are specific to their authorizations. Viant revealed that the Michigan Department of Environmental Quality alerted the Michigan facility to its air-quality issues, which will result in that location closing this year. On that note, medical devices are now being more closely evaluated by the FDA when it comes to approvals, as FDA Commissioner Scott Gottlieb declared in a March 15 statement. In the release, Gottlieb said that the agency will be gathering input from patients, device manufacturers, researchers and physicians to properly understand their concerns as well as how the FDA should proceed when handing out approvals. “Any new initiatives we implement must be rooted in putting patient safety first and based on sound science,” Gottlieb said in the announcement.